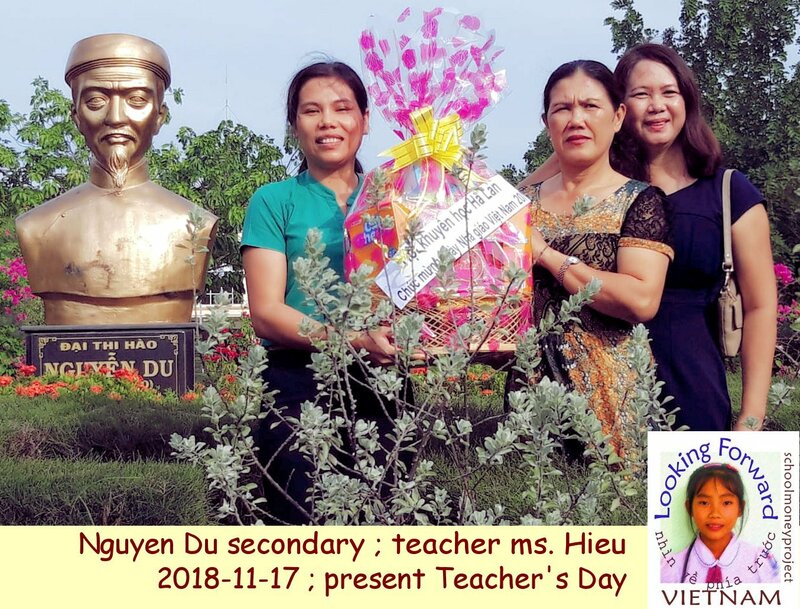 2018-11-17: Today it’s Teacher’s Day in Vietnam. L-F managers ms. Thanh and ms. Thuy brought coffee-tea-cookies presents to 7 co-operating schools in Dien Khanh. Just to show our good friendship.